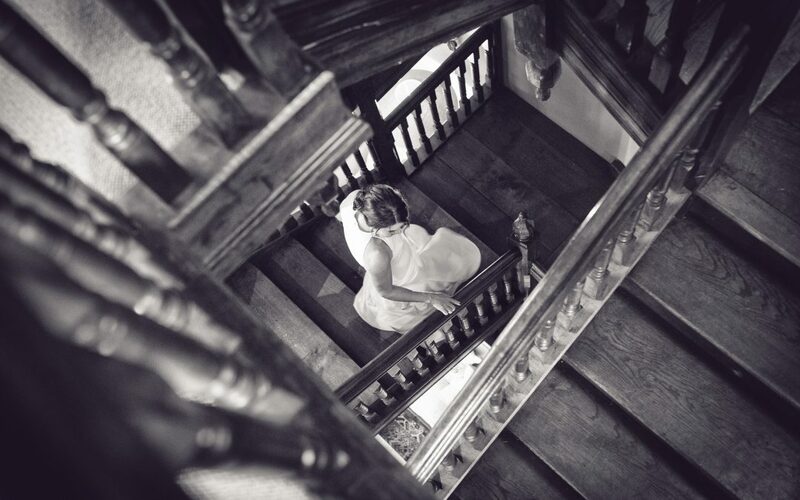 For a stunning venue and the perfect setting look no further than a wedding at Dewsall Court. This winter I was privileged to be invited to photograph the wedding of Kay and Ric Miller at Dewsall Court in the stunning county of Herefordshire. I have been fortunate enough over my career to work as a wedding photographer in Shropshire, Herefordshire, Wales and the surrounding areas. Wedding celebrations start as soon as you enter the gates at this idyllic setting, which features views of the Black Mountains and surrounded by 1,000 acres of Duchy of Cornwall land. It’s a truly stunning venue where the old and new combine to create a setting perfect for all tastes. There’s an ancient Church, stunning gardens with the breath-taking views, and a unique barn conversion or intimate stylish conservatory for the wedding breakfast. party the night away on our custom dance floor or toast marshmallows around our statement fire pit. Just like The Duchess of Sussex! It’s always such a thrill for me to join a wedding couple at such and enchanting venue as this, and this is a couple very much in love. Kay wore a stunning, simple, and elegant wedding dress made by well-known county dress designer Claire Mischevani. It was similar to the dress worn by Meghan (The Duchess of Sussex!). Ric looked equally dashing in a statement Tux and bow tie. Kay’s daughter Imogen (who is exceptionally talented) sang and her son (name?) accompanied her on the guitar as she walked down the aisle. All the family contributed to a very touching day, with her daughter-in-law law making the wedding cake. • Her interaction with everyone – getting the desired combinations in the right place at the right time and doing it with a brilliantly skilful mix of fun and authority. Herding cats would have been a piece of cake by comparison! • The photographic output blew us away. Some truly stunning and incredibly varied images, from the more formal to the uber-arty/wacky.